Welcome to South Korea – a land of ancient ruins, romantic legends, natural wonders, breathtaking landscapes, and modern cities . South Korea is located at the south end of the Korean Peninsula, between the Sea of Japan and the Yellow Sea. Separated from Japan by the Korea Strait and demarcated from the state of North Korea by Korean Demilitarized Zone (DMZ), South Korea’s terrain is a mix of flat lowlands and forested mountains. 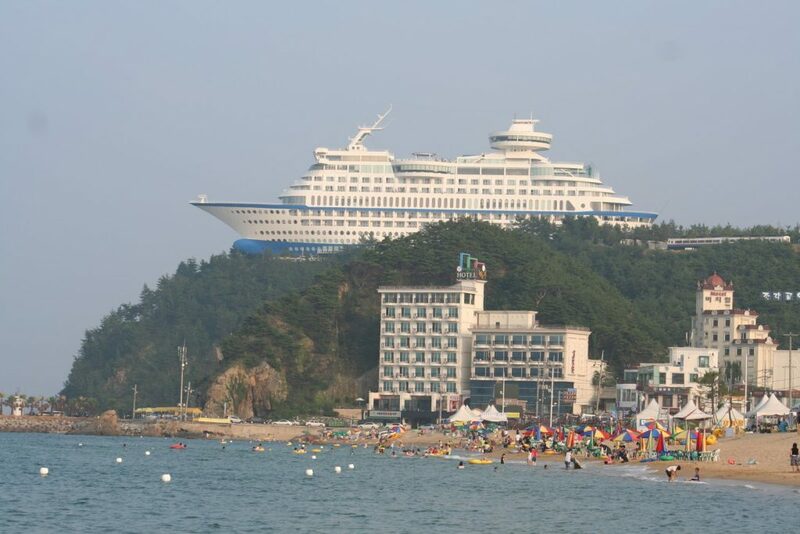 The coasts of South Korea are rocky and jagged, with thousands of islands (mostly inhabitable) scattered off the coastline. 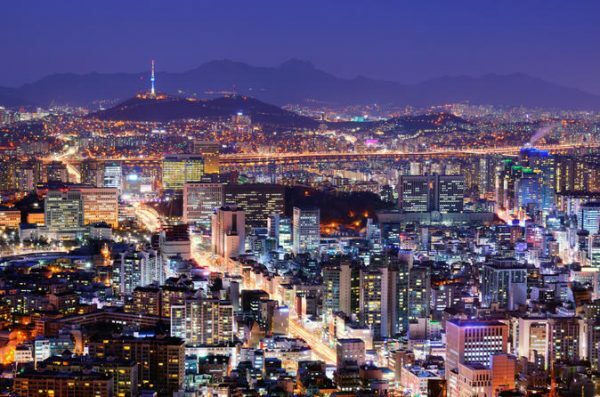 Largest of the metropolis, and the area most frequented by visitors, is the capital Seoul – the world’s tenth largest city, where ancient shrines nestle beneath soaring skyscrapers. 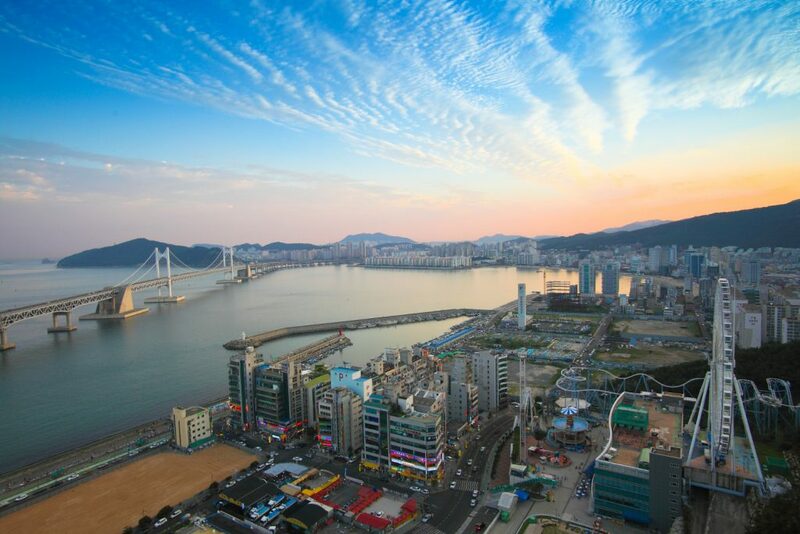 Busan is the second largest city only in size to Seoul, being known for its busy port. The ancient attractions of Daegu and Gyeongju serve as something of a tourist attraction, along with the beautiful beaches of Jeju Island. Also worth a visit in South Korea is Chuncheon, Daejeon, Jeonju, Guinsa, Panmunjeom, the Seonyu Island and the sprawling Seoraksan National Park. Visitors to South Korea who are keen on history and archaeological treasures should head to the south-eastern region. Gyeongju, ancient capital of the Silla Kingdom, is an open-air museum boasting tombs, temples, pagodas and ruins dating from as early as 57 BC. The least populated area of the country is Gangwon-do Province, on the eastern side of the peninsula, where remote forested mountains and valleys are studded with small towns. Those seeking a romantic getaway should head for South Korea’s resort island, Jejudo, known as ‘little Hawaii’ because of its subtropical vegetation, volcanic landscape, sandy beaches and sparkling waterfalls.